Great & Little Tew got their Home Counties Premier League campaign off to a winning start with an eight wicket success at Finchampstead. 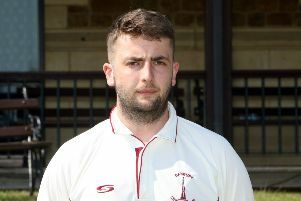 The visitors lost the toss in Saturday’s division two fixture and the hosts made steady progress with opener Matt Jones 70 proving the mainstay of their innings. Jones helped Finchampstead to 123-5 before he departed with Andrew House 15 adding some useful runs and wickets began to tumble after that. Joe White and Matt Clark did a fantastic job for us. Lachlan Ferguson 27 and Craig Hodges 10no took the hosts on to 167-9 at the close. Joe Thomas took 3-50 while Joe White picked up 2-24 and new signing Martin Coetzee claimed 2-22. In reply, openers White 79 and Matt Clarke 62 gave he visitors the started they wanted and took them on to 141 before the first wicket fell. Jordan Garrett joined Clark at the crease but he was soon heading back to the pavilion. Harry Smith 10 and Clark found the required runs in the 37th over for Andy Harris’s side who entertain Datchet on Saturday. Harris said: “I was surprised when they elected to bat because the conditions were overcast. Apart from dropping Matt Jones three times, our bowling and fielding was excellent.